Directly Across from Crete-Monee High School in the Log Cabin. We focus on Auto Insurance, Home Insurance and Life Insurance throughout the Crete, IL area including Palos Heights, Frankfort, New Lenox and Mokena, IL. In a world that is everchanging and busy, it is our aim to ease the stress that can come with Insurance by putting a premium on personalized service. We believe people prefer to have someone they know to help guide them through both good and bad times. It is this belief that stands behind everything we do. The Adam Hage State Farm team boasts over 30 years of experience in the Insurance and Financial Services Industry. We are more than equipped to help with your Auto Insurance, Home Insurance, Life Insurance and Health Insurance needs. 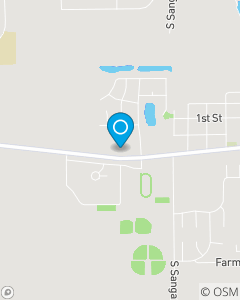 Located just across from CreteMonee High School, we are your local good neighbor!